A section of Saturn's perturbed F ring displays kinks in its bright strands. 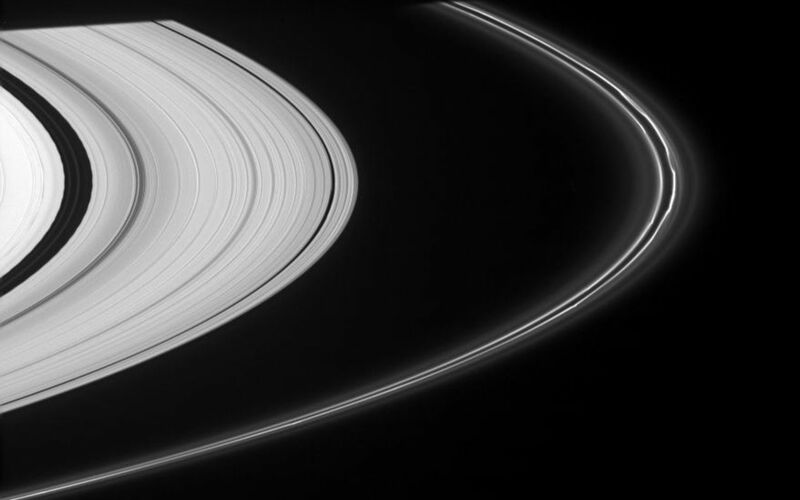 At left, edge waves in the Encke Gap, caused by the presence of Pan, can be seen, along with two faint ringlets. 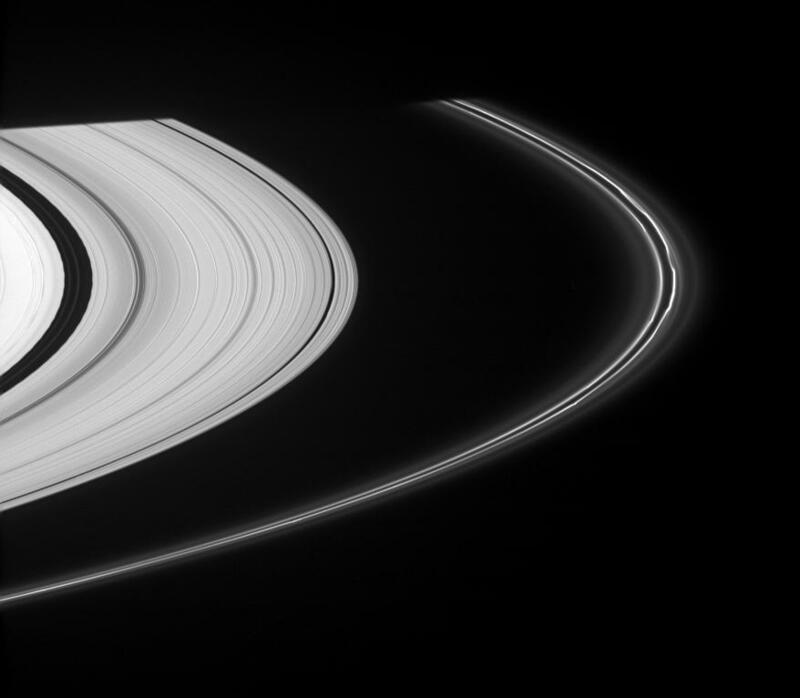 The rings disappear into the planet's shadow at the top of the scene. The image was taken in visible light with the Cassini spacecraft narrow-angle camera on Nov. 14, 2007. 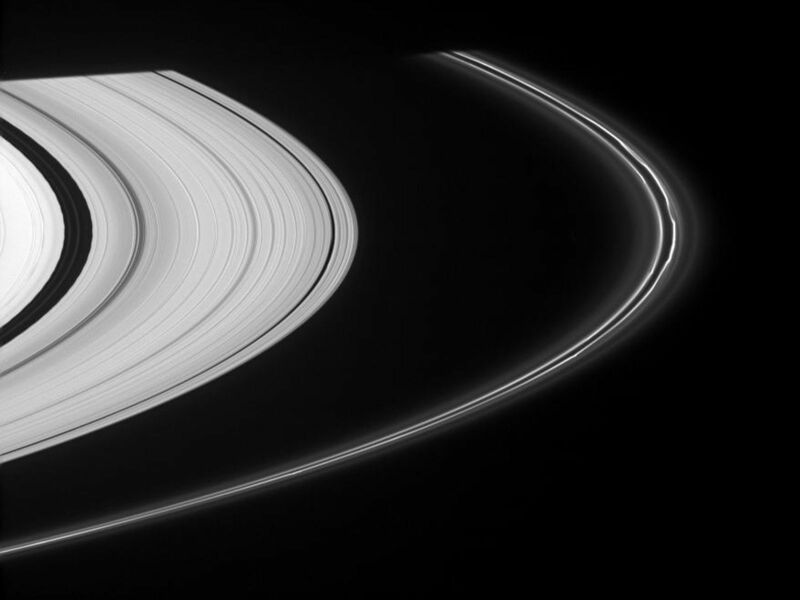 The view was acquired at a distance of approximately 1.7 million kilometers (1.1 million miles) from Saturn and at a Sun-ring-spacecraft, or phase, angle of about 55 degrees. Image scale is 10 kilometers (6 miles) per pixel.